Any military veteran who suffered an injury in the service of their country is entitled to collect disability benefits. The process of applying for those benefits is often needlessly confusing; our Crown Point veterans benefits lawyers can assist you, however. The attorneys at the Comerford Law Office help veterans with all aspects of the application process. This includes filing a form 9 or filing a notice of disagreement. Our attorneys will help you each step of the way getting the evidence you need to ensure a positive response. If you need to file an appeal or need help going through the process, contact the Comerford Law Office either by phone or online. There are three different ways to apply for veterans disability benefits. You can apply either online, by mail, or by phone at 800-827-1000. There are a number of veterans assistance organizations that can help you, as well. If you retain the services of a disability attorney, we can help take over and manage each step in the process. 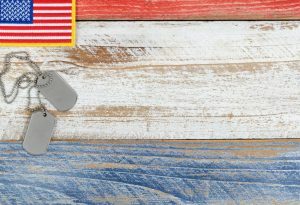 The Veteran’s Benefits Administration (VBA) will not sign off on your disability benefits without you providing evidence that your condition was caused by combat or duties related to your service. That means that you will need to gather medical evidence from your doctor concerning your condition and then explain how it is related to your military service. 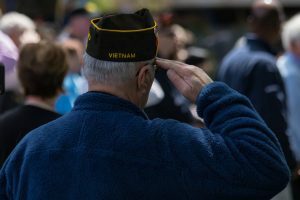 Since this process is a legal one, you are making a formal argument to a governmental agency, many veterans opt to retain legal counsel throughout the process. The best advice that we can give you is to be specific. Include dates and times or approximate dates and times for when you began suffering symptoms. If your condition is related to some specific event, then mention the event, when it happened, and how it happened. To the extent that makes sense, you want to limit discussing your condition or symptoms to those for which you have received a specific medical diagnosis and impact you the most. Each condition you list will take extra time to process. Additionally, you do not need to submit medical records merely to file a claim. The VBA will request this information after it has received your petition. If your claim is denied, you can appeal the decision. In fact, many claims will be denied simply because there is not enough evidence to support them. At that point, you will file a notice of disagreement with the VBA, listing the reasons why you believe their decision-making process was faulty. We may be somewhat biased, but the truth is there is only so much that veterans services can do for you. They can help you complete and submit the forms, but they are not qualified to render legal assistance if you need to appeal. In order to do that, you will need legal representation. The attorneys at The Comerford Law Office have successfully helped veterans apply for an appeal disability denial claims. For more information, please feel free to contact us by phone or online. James is an absolutely great lawyer. He fully understands his area of expertise, he’s quick to answer any questions with clear, concise directions on how to proceed. His insight into understanding how to navigate with many case laws and government agencies helped me as his client better understand the case law and it’s ways. James is quick to answer emails and phone calls, and made me feel very comfortable. I highly, highly recommended James for his case law specialties. A professional and true gentleman, even when I would ramble on with worry, James was very understanding and able to put my concerns at ease. Jim is absolutely one of the nicest, most compassionate, and intelligent lawyers out there. He is fast to answer any question with clear, concise direction. His insight into understanding how to navigate with many government agencies helps his clients in many ways. Jim is quick to answer emails and calls, and makes his clients feel very comfortable. Highly, highlyrecommended. Jim is a good lawyer that helped us through a difficult purchase of our home(he also was the lawyer for the sale of our previous home). We had quite a few issues with the details of the purchase with both the bank and the seller that James made sure were resolved as quickly as possible. When the selling lawyer would not respond to phone calls/emails Jim physically went to the lawyer’s office and made sure that the final details were pushed through. I would recommend Jim as an attorney as he is very knowledgeable and thorough on the work that he does. For a FREE CONSULTATION with a Social Security Disability / Employee Benefits / Veteran’s Benefits attorney, fill out this form and we will contact you shortly.